Everyone loves a BOGO! Buy One, Get One FREE lanes ALL DAY! 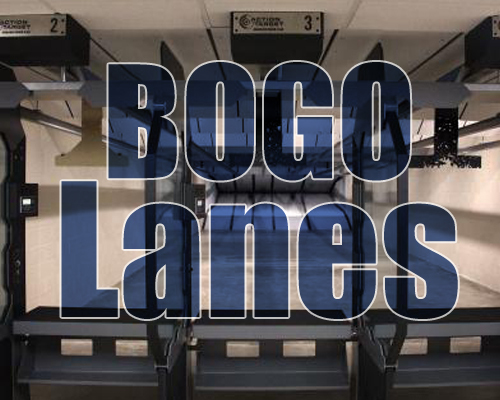 * BOGO Lane is limited to one free shared lane, two people shoot for the price of one. Offer does not allow a free second lane. BOGO Lane is limited to one free shared lane, two people shoot for the price of one. Offer does not allow a free second lane.